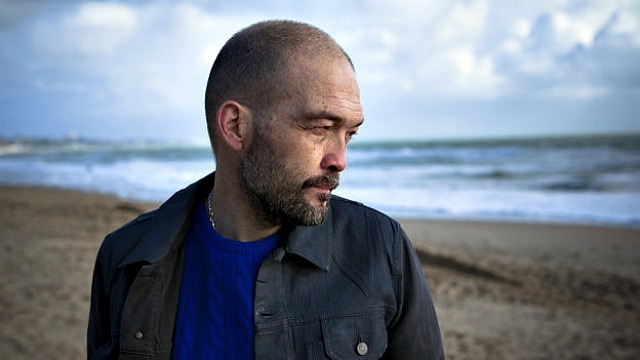 Yes, it took Ben Watt over 30 years to release his second solo album, Hendra, but he has a perfectly fine excuse. Following the release of 1983's North Marine Drive, Watt immersed himself in Everything But the Girl with longtime partner (and now wife) Tracey Thorn, ran two record labels, toured the globe as a club DJ and wrote two critically-acclaimed memoirs. Watt also combatted serious health issues in the '90s and, more recently, lost his sister to cancer. Her death and Watt's deep grief prompted him to return to his singer-songwriter roots for Hendra. It's a lyrically incisive, tough and tender album of contrasts, from the bruising guitar that underscores "Nathaniel," courtesy of Bernard Butler, to the willowy, resilient beauty of "Spring." After a visa muddle earlier this spring that forced Watt to postpone his April shows Stateside, he returns to New York to play Joe's Pub on June 11 and 12. Ahead of those dates, FUV and The Alternate Side reached out to Ben for a list of his Five Essential Albums. I was given his Decade triple album retrospective when I was only fourteen or fifteen. Being a journalist, my mum used to get sent albums. If none of my older siblings wanted to them they fell into my hands. I have recently realized what a huge impression that record left on me. Recently a friend turned me onto On The Beach as a stand-alone album. The title track alone is worth the entrance fee. Empty, slow-moving, impressionistic, it never fails to move me. I play this album in slow moving traffic at night. It is an album that is not frightened to leave big spaces in the sonic picture, something I am a sucker for. The singing is amazing too. Famously recorded in near silence at the kitchen table while his kid slept in the next room, this is a beautiful modern folk record. A man getting older. Dealing with it. MC Taylor has a catch in his voice that snags me. Humble and complete. A 1970s album that my dad used to play a lot. By turns adventurous and melancholic. One minute something from a cop movie, the next something to make you cry. Toots Thielemans' harmonica playing on "Brown Ballad" is a thing of great beauty. In the end there are few to touch Sinatra in his prime for phrasing, and that mixture of downbeat resilience and euphoric hope. The arrangements on his best albums—often by Nelson Riddle—are also fantastic. I was going to pick In The Wee Small Hours of the Morning, but that is quite well known. This is one of his lesser known records but oozes the same autumnal power.